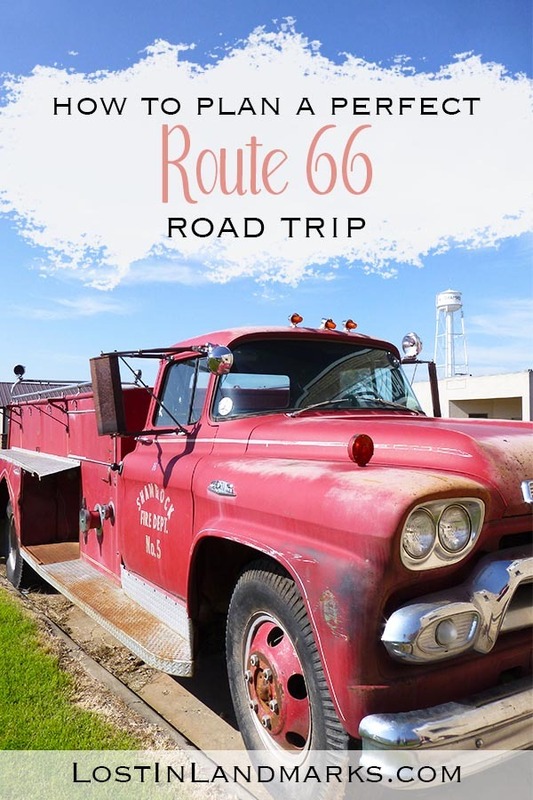 Ultimate Route 66 planner – all your road trip questions answered! I’m a bit of a planning freak I’ll admit it – I love the planning of our road trips almost as much as doing them! When we were looking to do the trip a few years back I really struggled to find a good Route 66 planner with all the information that I needed in it. 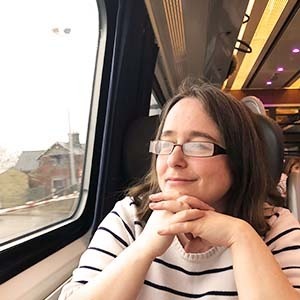 So, to help out my fellow Mother Road lovers I figured it was time to answer all the questions I get about travelling the road in one giant post (it’s huge – sorry! Feel free to use the contents to skip to the bits you need!) 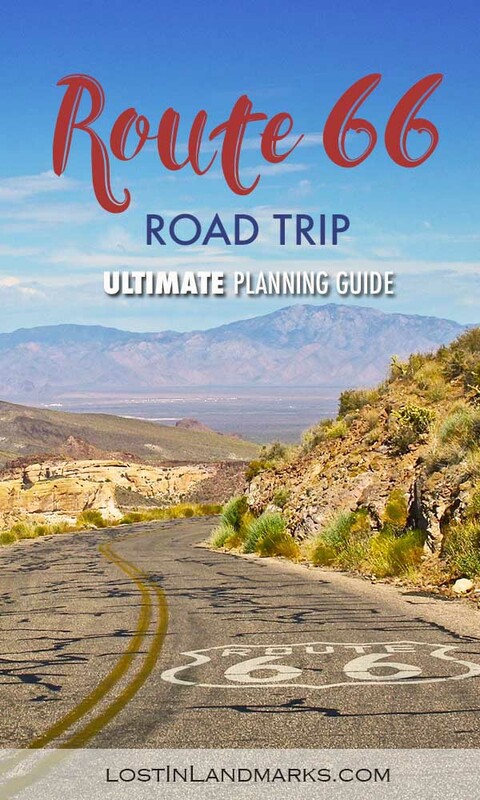 to provide the ultimate planning guide for your road trip. So, grab yourself a cup of tea (I’m British!) or a coffee, whatever your tipple and start planning that trip of a lifetime. 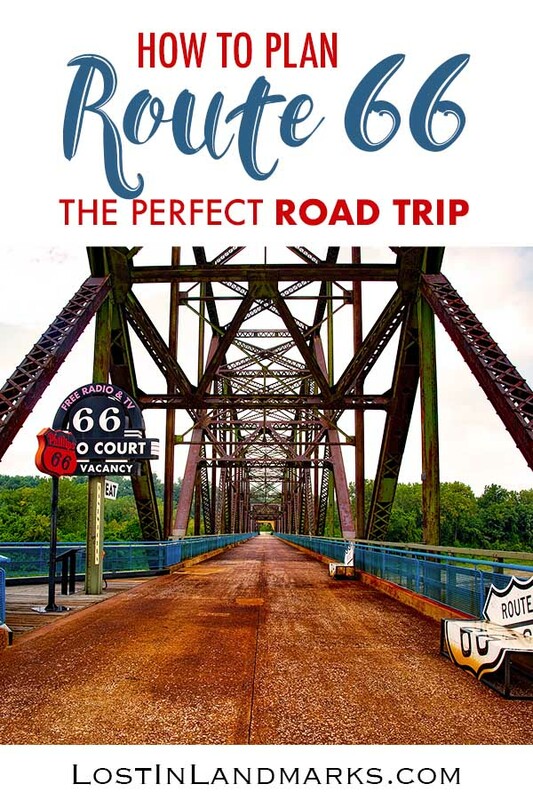 1 Your Ultimate Route 66 Planner and Guide to the best road trip ever! 2 Why drive Route 66? 2.2 What’s left to see now? 3.1 How long is Route 66 and how long does it take to drive? 3.2 Where does route 66 start and end? 3.3 Where does Route 66 go through? 3.4 What major cities does it hit? 3.5 Do you need to drive the whole route? 3.7 Which way – east to west or west to east? 3.8 How much does it cost? 4.1 Should you drive back to where you started? 4.5 Should you rent a car or RV? 4.6 How easy is Route 66 to drive? 4.7 Do you need a sat nav? 5.1 How long should you drive each day? 5.3 Are there any drive in movie theatres on Route 66? 7 Need some more Route 66 inspiration? Your Ultimate Route 66 Planner and Guide to the best road trip ever! I think the world is split in to two camps, those who are so excited to drive Route 66 and those who perhaps aren’t quite sure of the point and why you’d bother. I’m going to assume that you’re firmly in the first group but for the sake of argument let’s just look at some of the many reasons why you should think about driving it. For me it was the history that was intriguing, and then I was excited to travel such an iconic road that not many people (at least in the UK) would think to go to and lastly it was a very different USA to the one you see in cities whether that’s on the East or West coast. This is small town America and I wanted to experience that. 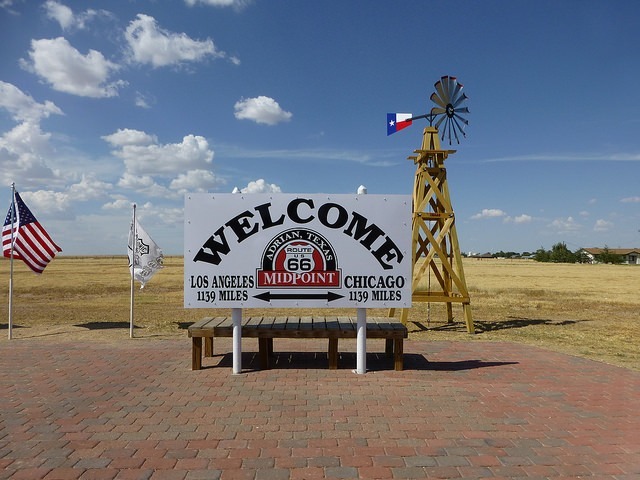 Route 66 has a few other names that you might hear mentioned – the Will Rogers Highway, the Mother Road, Mainstreet America, US66 and of course Historic route 66. It was commissioned over 90 years ago now in November 1926 and was one of the very first highways built in the USA. Initially it was built as a way to connect the larger towns to many of the smaller back road communities as before this many of them just didn’t have that access to roads – strange to think of it isn’t it? The road eventually became well used with the mass exodus of people migrating to the west especially in the 1930s dust bowl period. Again in the war times it was used to move people to the California coasts where a lot of the war related industries were. As times changed and the US grew more prosperous people began to take vacations and the road was there to take people on their way to to Los Angeles and with it grew a big tourism industry in the towns with them all vying for trade and trying all sorts to entice people to stay in their spot. Cue all those neon signs, quirky roadside attractions and exciting and different motels to stop at. What’s left to see now? So perhaps you’re wondering if there’s still all these wonderful attractions on the road to see? The answer is a resounding YES! But also sometimes a no. You see, with the decline and eventual decommissioning of the highway some places really died and became ghost towns – interesting to see though in their own way. There’s still wonderful small towns with quirky and weird attractions to see, plenty of historic hotels to stay in and of course the wonderful scenery around as well. It’s probably very different to how it was in the 50s and 60s but there’s still a very nice charm to the road that is hard to find elsewhere. Ok, so you’re convinced and you’re ready to start planning. Let’s take a look at some key questions that should be answered before you get started. How long is Route 66 and how long does it take to drive? Officially the road is 2448 miles long (3940km). As for how long it takes? Hmm, how long is a piece of string? If you plug it into Google Maps then you’ll get a driving route of 2045 miles and it will take you 31 hours, but of course that’s not really route 66, that’s driving the Interstates, not stopping and it most certainly isn’t a pleasurable road trip! Many people take from 2 – 3 weeks to drive the whole route and I think that’s perfect if you’re doing the entire journey without it getting too boring! If you do it in 2 weeks that averages out at about 174 miles a day and if you do it in 3 you’re looking at 116 miles a day. Remember to leave some time at the beginning an end to explore LA and Chicago and also any time for side trips you’re interested in. Where does route 66 start and end? The official starting point is in Chicago Illinois – you’ll find a sign showing the beginning of the route on East Adams Street in the Downtown area. It ends all the way on the West coast of the USA on Santa Monica pier in Los Angeles, California. Where does Route 66 go through? Route 66 passes through 8 states: Illinois, Missouri, Kansas (just! ), Oklahoma, Texas, New Mexico, Arizona and California. What major cities does it hit? As well as the start and end points of Chicago and Los Angeles you’ll also pass through some other large cities such as St Louis, Oklahoma City and Albuquerque. Do you need to drive the whole route? I’m sure the purists out there would say yes but If you only have limited time, like we did on our first trip, it’s absolutely fine to just do a short part of the route. You’ll still get a good feel of the road and no matter where you are there are great towns to visit, people to meet and food to eat – there’s good bits to see on every part of the road. Definitely don’t put off the trip waiting for the perfect amount of time to do it all justice. There’s no harm in splitting the road up and doing it over a few years. Although if you do that, like we did, then I can guarantee you’ll be planning your return trip to complete the whole road! When can I go again? Most people say that the best time to do the road is Spring to early Summer or in the Fall (autumn). The weather may become too unpredictable in the winter months and the height of summer has blisteringly hot days. We didn’t listen to the ‘best time’ tips and did the trip in August. We got the opportunity and went for it. Yes it was hot, especially in Texas, but our car had air conditioning as do many of the attractions. It made a change from the British summer in any case! We were told that it would be really busy too but in reality we didn’t find that the case. The Grand Canyon was fairly busy, but overall we found that the road didn’t feel at all busy or crowded. Sometimes it felt like we were the only tourists around! Which way – east to west or west to east? Another question I get asked a lot is which way is the best to go. Again this is simply personal preference but the vast majority of people travelling the road take the East to West route starting in Chicago. My advice is to do what makes sense for you. This is a little like asking how long is a piece of string of course and you can do route 66 on a really tight budget like we did (see our post about it here and what we actually spent). If you do it yourself, stay in the cheapest motels and stick to low cost attractions you can do the road on a real budget. Add in museums, state parks and some more iconic motels or upmarket chain hotels and your costs will rise. Staying in the big cities of Chicago and LA at either end of the road can also add a fair chunk of change on to the trip too. The best bit about the route is the people and the atmosphere and to be honest that doesn’t cost a lot! decide whether you’re going to do the whole road in one go or just a section. Once you’ve got your dates sorted for your road trip the next thing to think about is what you need to have booked in advance. For some who are using your own car and who live close by to the route you can probably skip this section. For everyone else the main things you’re going to need to do is get flights to your starting point, back home again and book your car rental for the miles inbetween. Should you drive back to where you started? One option that we considered very briefly when we planned our trip was to fly in and out of the same city, do route 66 but then drive back using the interstates. We gave up that idea fairly quickly due to time constraints and the fact that it really didn’t appeal to us too much. We instead opted to do a one way car rental – more info below – and pay the fee associated with that. It is, of course, an option and one that I would consider if we had plenty of time and perhaps if we could have planned a nice different road trip taking in the sights of some other states on the way back. If you’re going to do this just be aware of the distances involved (and check any mileage restrictions on your rental) and be sure you’re happy with the time it will take and factor in the costs of gas and any overnight stops you might need to make. The great thing about Chicago is that there’s a huge international airport there, Chicago O’Hare, and there’s plentiful flights arriving there from everywhere in the world. It’s not too much of an obscure airport that you’ll have to connect and if you’re lucky you’ll be able to get a direct flight. If you’re flying from elsewhere in the USA there’s also the smaller Midway airport which might be worth checking out. Coming back you’ll likely be using LAX which again is large enough that you might be able to find direct flights wherever you are in the world. My tip for finding the cheapest flight to start your route 66 trip is to go on Skyscanner. This site searches all the airlines and companies selling those flights to give you the cheapest options. What I also like is that I can search for the entire month to see what dates are cheapest or even look over the entire year. Perfect if you’re flexible in your vacation dates. Remember to put in that you’re looking for multi city flights as you’ll be flying out to one city and back via another. If you’re flying in to the States you’ll be looking at some kind of vehicle rental for your time here. We personally went with Avis as they had a deal with British Airways who we flew with and had no problems at all. We did a tonne of research before settling with our chosen car hire company of Avis. Things to bear in mind when you’re searching is whether there is a one way drop off fee, whether you have unlimited mileage, obviously the kind of car you have (make sure it will comfortably fit your luggage in the boot/trunk as you don’t want it on show during your road trip) and any surcharges or things they don’t include. Also check the insurance details as well and make sure you’re happy with what’s covered. 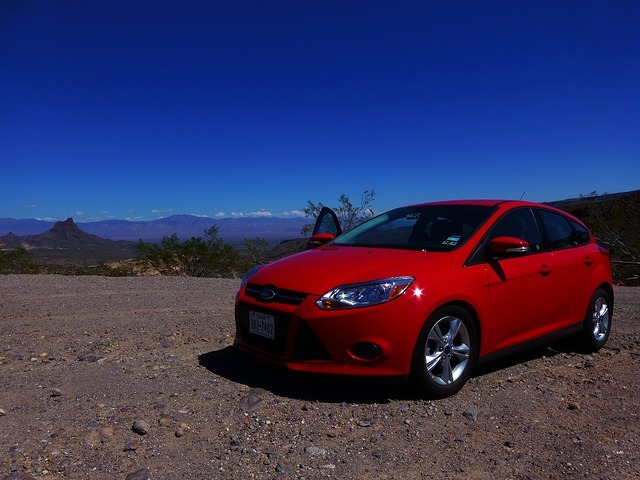 I’ll be doing an in-depth post about renting a car for driving route 66 so once that’s live I’ll link it here. I do wish we’d had a slightly bigger car as with 4 of us and our luggage it was sometimes a bit of a squeeze especially having to re-pack it each day. It can be a bit of a drag searching through loads of individual websites so I recommend using a deal comparison site like RentalCars.com who will check all the available options for you in one easy search. Don’t forget to check any deals your airline might have too – we ended up with some extra Avios points which we were saving by going through BA.com plus we also got an extra driver added for free too so I had no excuse not to do some of the driving! Should you rent a car or RV? One question I see asked is whether you should go by car or RV and I think the answer to this one has to be – what do you want to get out of the road trip? I think each way would have it’s own advantages and disadvantages – personally for me the joy of the road was the historic motels which you’d not be using in an RV. That said you can still enjoy the old style mom and pop owned restaurants on the road! How easy is Route 66 to drive? Route 66 isn’t sign posted, there’s no direct and easy way to travel it so if you want to just get in your car and pop the details of your next stop in the sat nav then you might find you miss a lot of the really interesting places. I know this because I suspect my father in law did just that on his trip! So many stops he’d missed as they just went from point A to point B and didn’t think to check the map. A good guide book and map will help you to see the roads that are still around. There’s been a lot of changes to the road over the years with some different alignments coming in and replacing others. It’s probably overkill to make sure you travel every inch of the road, although some people do like to! Read more – see our guide to the best maps and guidebooks for Route 66. Do you need a sat nav? A sat nav would be helpful, or at least access to Google Maps on your phone if only to help you find any landmarks that you wish to see. We completely got lost trying to find the cadillac ranch – I’m sure it’s not really that hard! A better sat nav would have helped there especially if I could have inputted lots of waypoints and checked that the roads it used were what I wanted – we had a quite rubbish one for our trip! If you do use a sat nav just check each time that the roads it wants you to go on are actually what you want as they might just try and take you along the interstates. If you’re adamant you want to do Route 66 but you’re afraid of all the driving, especially if you’re coming from another country, then some of the tour operators who run group tours might be worth checking out. Some will do group coach tours, some will organise the whole trip for you but allow you to self drive, some will be luxurious and take you from point to point. No matter what you want you’ll be able to find a tour group to help. Some of the tour groups from the UK that have come recommended are Virgin Holidays (my Father in Law travelled with these guys – they do self drive itineraries) and Titan Tours who do more luxury end escorted tours. 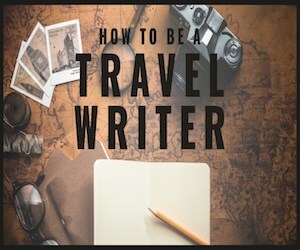 If the thought of all this trip planning is putting you off then do check them out as they have so much experience in these areas you’ll have a great time! Ok, to recap the transportation section. When you know your dates check Skyscanner for flights and search for the best deals. Start researching what you’re going to want to drive. Big is good in the US and the standard of the cars there are amazing! When deciding on your itinerary for Route 66 it’s important to take in to account a few things. Obviously the distances involved are important but also is where you want to stay, towns you must see and any side trips you want to make. Consider whether they fall on the weekend and whether that might make them overly busy. Also check for any national holidays – they could make an attraction less than attractive to visit! How long should you drive each day? This is the big question and one that only you can answer. What we did when planning our route 66 trip was to either have breakfast in the town we were staying in or drive to somewhere if there was something nearby we wanted to see. Then we’d do some driving and stop for lunch in another location – although keep in mind the heat of the day especially if you’re travelling in Summer. The afternoon would have a small amount of more driving and we’d arrive at our overnight location for ready for food and some sunset photos as we walked around. Some days this worked really well, sometimes it felt like there was hardly any distance in between our night stops so we could really take our time and explore around the area. Each state has some must sees and of course this list is not exhaustive. For more in-depth information you can click through to my state attraction guides that I’ve done for the areas we saw. Read more – we loved Texas! See our guide to the route 66 attractions in the state here. Read more – Our guide to the route 66 attractions in the New Mexico is here. Petrified Forest National Park – Route 66 goes right through it! See our complete guide to the park here. Oatman – an old ghost town with a wild west feel. An amazing drive there too that shouldn’t be missed. 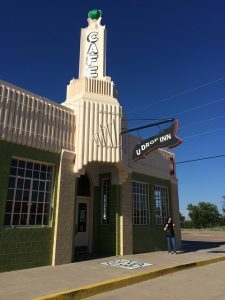 Seligman – a classic Rt 66 town that is just how you imagine! Read more – there’ so much in Arizona on Route 66 – here’s our guide to the state. San Bernadino – more wigwam motels and the site of the first McDonalds! Are there any drive in movie theatres on Route 66? One thing I was itching to do while on our trip was to go to a drive in movie and I was sure there must be some left on the historic road. Unfortunately there wasn’t on the part that we drove and not many on the whole road itself. There is one in Carthage, Missouri if you’re there so do check it out and see if you can fit in a very retro movie evening! It’s open from April to September and it’s a really reasonably priced evenings entertainment. Also in California you’ll find one called the Skyline Drive In which is situated in Barstow – you can see more info on their Facebook page. There’s a quite a few places of note that could be incorporated in to a route 66 trip. The most popular is probably the Grand Canyon National Park and it’s a really easy side trip to do. If you’ve never seen it then I advise you to go! As well as that many people head off to see some of the larger cities in the area such as Las Vegas, Santa Fe and Phoenix. We didn’t do too many side trips on our route due to time issues, we did veer off a little to find Meteor Crater in Arizona which was really interesting to see. One thing I’d have liked to do but we decided it was too far was to do Monument Valley. Next time! Once you know your route you can then think about booking some hotels if you want to. The reason I say ‘if you want to’ is that for some the idea of the open road is what appeals and having no fixed place to be is what they want. If that’s you then go for it! I’m personally a bit of a worrier and I worried when we did it that we’d not find a place to stay (we also had kids with us so it felt prudent to book ahead). As it turned out I think for the most part we’d have been fine just turning up. Some places do get busy though – if you have your heart set on some of the more historic and iconic hotels then I encourage you figure out what date you’ll be there and book those in advance. And if you’re road tripping through the busy summer periods you might want to book ahead then too. The big cities of Chicago and LA should definitely be looked at in advance especially if you have any specific areas you want to be in. Many hotels nowadays allow you to book and change your plans up to the day or week beforehand so often there’s no harm in booking a few in advance just be sure to check the cancellation policy before you do book. I use HotelsCombined to get the best prices and I always check on TripAdvisor for reviews as sometimes hotels can change hands and standards can drop or vice versa. 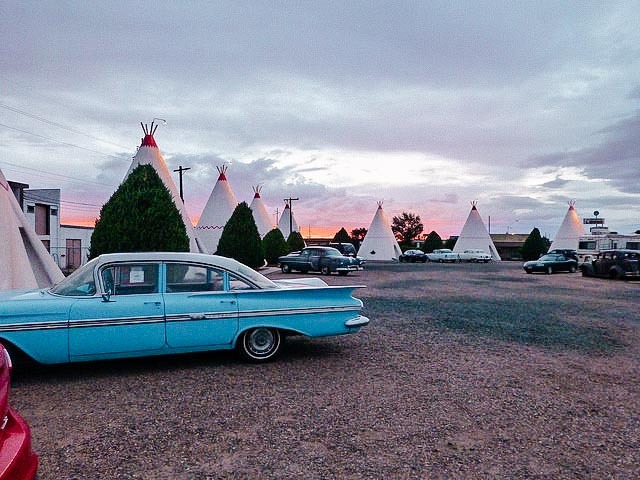 Read more – Here’s a giant list of some historic hotels you shouldn’t miss while driving Route 66. There’s plenty of chain hotels along the route too if you have loyalty to any brands but what makes the road for me is the variety of cool and unique hotels along the road. All of our favourite stops were the mom and pop motels and I really wish we’d incorporated more in to our stay. Once you get a bit closer to your trip you’ll be wanting to think about what to pack and any specific items you’ll want to take. Plastic bowls and spoons also allowed us to eat cereal when we couldn’t face another cooked breakfast! It also saved some money. Remember to print or save all the hotel info of places you’ve booked and bring that too in case you don’t have phone signal out on the road. As well as making sure you’re covered fully for driving in the US you’ll also need to make sure you have travel insurance for the trip. The USA is not a place you want to fall ill and not be covered, unless you have a wish to go bankrupt. It’s serious cash just for simple procedures and doctors appointments. I recommend checking out World Nomads for comprehensive cover or if you’re coming from the UK also look at the Post Office. It’s really important, no matter who you choose for insurance that you check what is covered and more importantly what is not. Check the claim procedures, whether you need to pay an excess if you claim and what receipts you need to show (if in doubt keep all paperwork!). Also declare any and all health issues you have even if you don’t think they matter – they might do if you need to claim. I hope you’re on your way to being excited! Need some more Route 66 inspiration? Do have a nosy around the site or click here for all the Route 66 articles that I have if you want to keep reading more. Sometimes it’s just nice to dream! There’s all sorts of driving albums that might help you while you’re in planning mode. I personally like the Disney Cars soundtrack (much to my husband’s dismay)!!! Spotify is great for finding some old US Rock and Roll from the era and road trip sound tracks. Famously the Grapes of Wrath by John Steinbeck features the road and recounts the period of the dustbowl and the migration of people from East to West USA along it. We really enjoyed the Billy Connolly show that was on British TV a few years back now – you can get it on DVD on amazon UK here. If you have kids and you’re excited to bring them along, or even if you don’t and you enjoy a bit of Disney you have to watch the first Cars film. I adore it. Also check out the extras on the dvd for some more documentaries about their inspiration for making it.